The cover looks innocent enough at first glance, but a close analytical reading reveals what can only be interpreted as a deliberate effort to call attention to the former Secretary of State and Goldman Sachs affiliate's advanced age (66 years, 7 months). Notice the subtle placement of the word "grandmother" at the bottom of the page, next to what a layperson might reasonably assume to be an old person's walker in Clinton's hands. 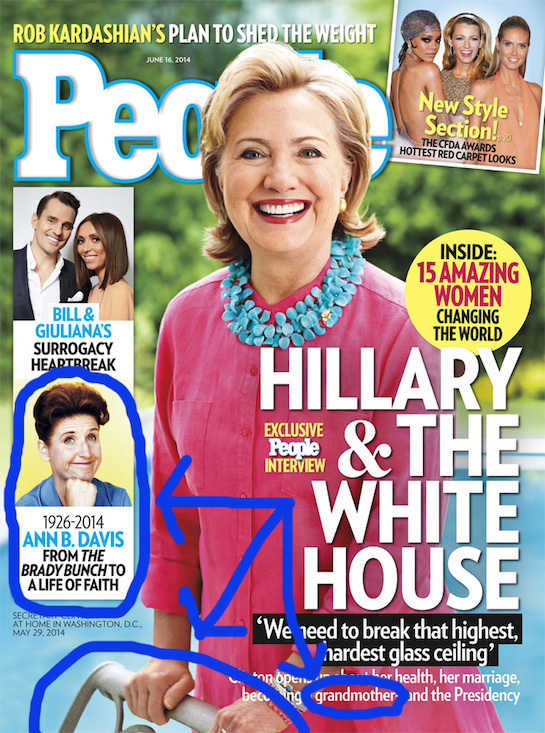 Then there is the juxtaposition of a graphic celebrating the life of Brady Bunch star Ann B. Davis. 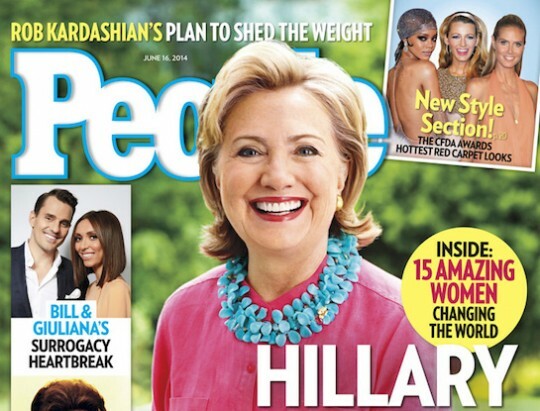 Taken together, these aspects of the cover raise troubling questions about PEOPLE Magazine's political agenda. It is unclear at this time how the Koch brothers are connected. This entry was posted in Politics and tagged 2016 Election, Hillary Clinton, Parody. Bookmark the permalink.